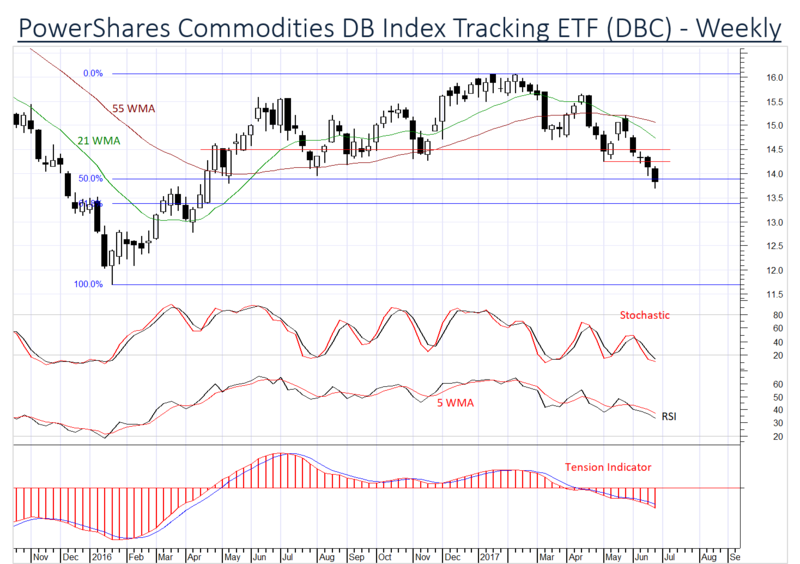 Investors are bearish the broad Powershares Commodities ETF Index (DBC). Prices are poised to break below the 13.90, (50%) Fibonacci retracement as momentum studies and the Tension Indicator continue to weaken. Next significant support is at the 13.40~, (61.8%) retracement. 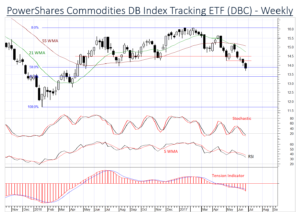 A close above the 14.24/50 area would improve sentiment and turn investors neutral.